Ask any professional in the defense industry, and they’ll tell you that the battlespace is far from what it used to be even just 10 years ago. Today, warfighters are fighting in a more contested and congested environment than ever and are combatting increasingly sophisticated adversaries every day. In response to such a shift, many arms of the defense industry have adjusted, for instance, by utilizing more data-driven technologies or embracing cloud computing approaches. But why hasn’t this shift affected the way we think about the Position, Navigation and Timing (PNT) threat environment? 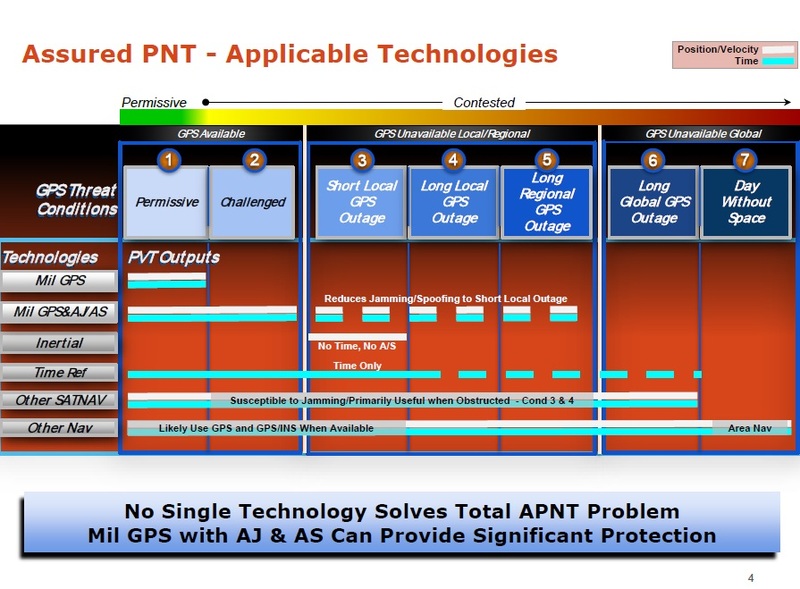 PNT, specifically the use of the Global Positioning System (GPS), has completely changed the way that wars are fought. It’s essentially impossible for warfighters to accomplish many of their key missions without the precision PNT provided by GPS. With adversaries becoming more adept at jamming and spoofing techniques as time goes on, it’s imperative that an accurate understanding of these threats is accessible and industry partners are keeping an updated image of that threat environment top-of-mind. 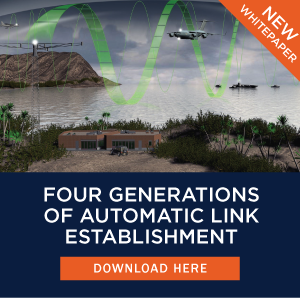 As Rockwell Collins has more than 40 years of experience with PNT, thought leaders there have had a front row seat to this evolution of the battlespace and have a deep understanding of how the current challenges in PNT manifest. We sat down with Rockwell Collins’ Mike Shepherd, Senior Account Manager for PNT Solutions, and Mark Johnson, Business Architect, and discussed why the defense industry needs to modernize its approach to, and understanding of, the PNT threat environment. 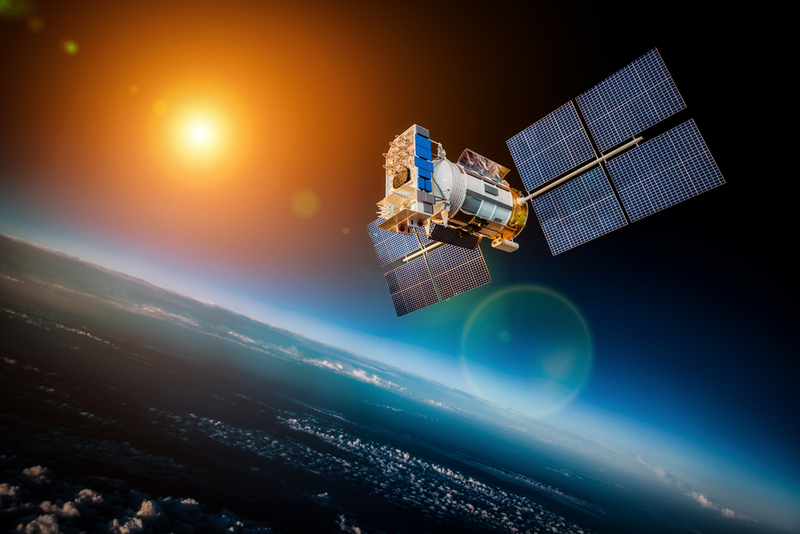 The most severe perceived threat to PNT and GPS lies in the concept of “A Day Without Space” – meaning all space assets, including PNT assets, are somehow made unavailable (whether it’s through spoofing, jamming, cyber-attack, physical satellite destruction, etc.) to the warfighter in-theater, ultimately crippling the operation. In our discussion, Shepherd and Johnson distinguished between a true day without space and the loss of GPS. 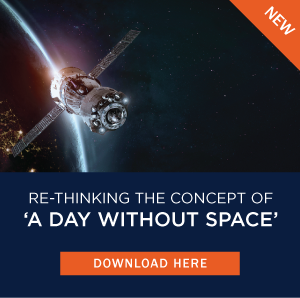 The term “A Day Without Space” seems to encapsulate several different scenarios now that might be better understood using a new threat model. 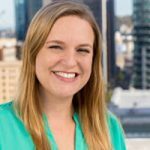 Thought leaders like Johnson and Shepherd are urging their industry peers to re-think the issue from a refreshed and modernized perspective. It’s important to understand that the issue of losing GPS access is a tiered problem. Different threats result in different threat levels and different communication roadblocks. Shepherd and Johnson have broken out what those threat levels look like depending on the threat type in the figure below. With this threat level variety in mind, Johnson emphasized that no single technology can address the problems associated with the PNT threat environment, and the traditional approach to threats of this nature is outdated. A layered approach where you can incrementally pace the threat with your technology is critical. 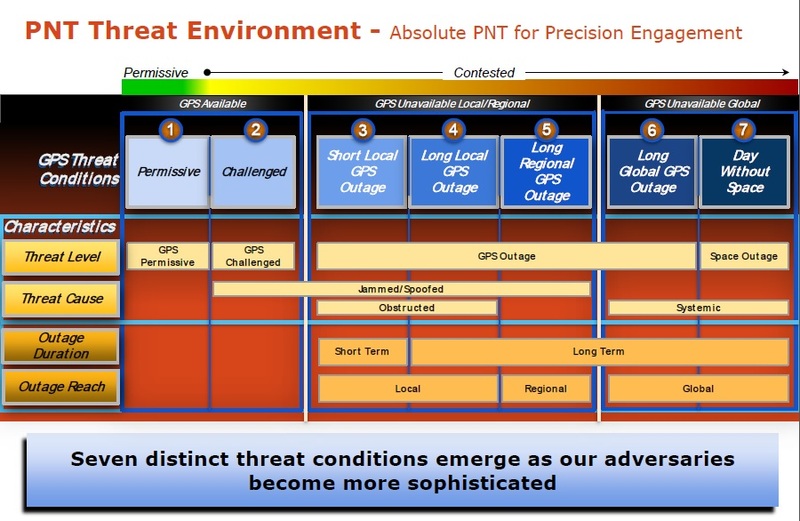 In response to the varied PNT threats, Shepherd and Johnson have also fleshed out exactly what technology combinations propel warfighters through which PNT threat level in the diagram below. Johnson goes on to explain that the first, crucial part of minimizing the impact from threats in a challenged environment is to thoroughly understand the problem that needs to be solved. As one might expect, changing how the military approaches a process like this, something that they’ve been doing for decades, is not easy. The first (and potentially largest) hurdle for updating this approach to PNT threats is simply recognizing that layers of different technologies are a must. Once this obstacle has been overcome, the defense industry can really start tackling the pressing threats of today’s PNT environment. 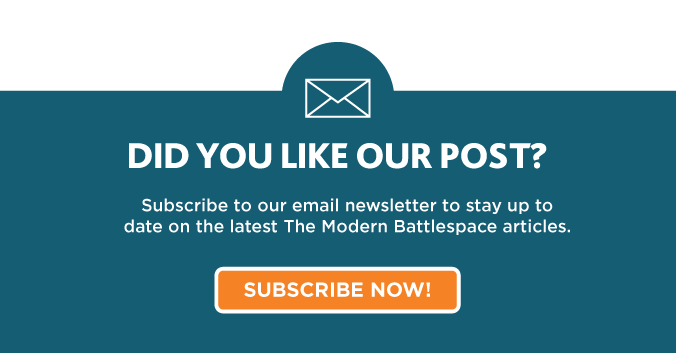 You can download the entire overview of the Assured PNT Threat Environment on The Modern Battlespace here.